The Common Application is a nonprofit membership organization dedicated to improving access, equity and integrity in the college admissions process. Through the organization’s online application, more than 1 million applicants – over a third of which are first-generation college-going students – apply to college each year. Headquartered in Arlington, Virginia, The Common Application serves more than 750 college and university members across the U.S. and internationally. The organization’s 14-member governing board of directors is comprised of Chief Enrollment and Admissions Officers within Colleges and Universities, Directors of College Counseling and other leaders within the school counseling and college access community. Prior to making the digital switch to a board governance platform, the organization’s board administrator faced the challenges of using email to communicate with board directors, document version control and an outdated electronic storage system. Compounding the obstacles of using email to send all board materials, Mitchell had to deal with an outdated electronic storage system that her predecessor had set-up a few years before she joined the organization. While researching board governance platforms, Mitchell learned that several executives and board directors had used Diligent with great results. After evaluating other vendors and seeing a Diligent demo, the choice was clear for The Common Application. The Common Application has seen a variety of benefits since partnering with Diligent. Mitchell also notes the high level of customer support from the Diligent team. With plans to expand the board and further their goal to drive access to higher education, The Common Application looks forward to continuing to partner with Diligent. 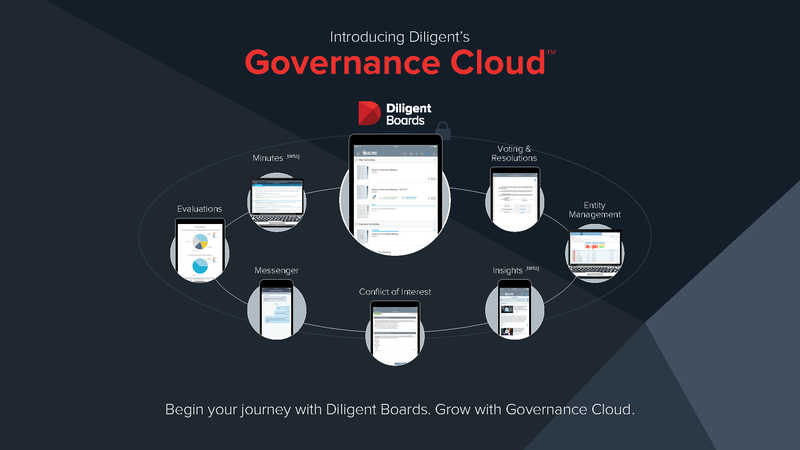 “My board directors love Diligent. I tell them when something’s there, where to find it and they do. Simple as that,” Mitchell says.